New! The Catholic Songs for Children music is now available in a Sing-a-long DVD! 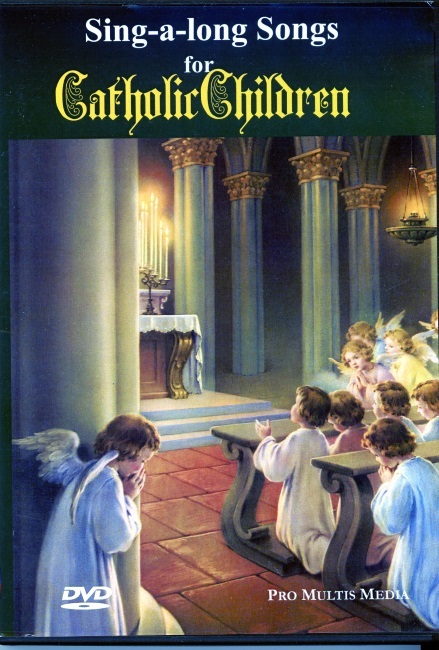 Illustrated with traditional Catholic children's art, and accompanied by on-screen lyrics, Sing-a-long Songs for Catholic Children will help young children with their catechism, as well as their reading, while they sing! Run time 53 Minutes. See also Catholic Songs for Children CD.